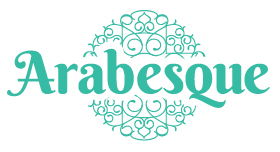 Arabesque Florist Maidstone believe in the magical quality of floristry to transform a space. Our team works closely with event managers, logistics, PR teams and direct clients to cater for a vast variety of events in Maidstone, Chatham, Tonbridge and the surrounding areas. Arabesque Florist has proudly delivered beautiful flowers to all hotels and convention centres in Maidstone, Chatham and Tonbridge for events ranging from themed, smart, outrageous, or even intimate. From elegant private parties to impressive corporate events Arabesque Florist pride ourselves on providing a truly bespoke flower service to suit your personality, style and budget. Whether it's dressing a table, to transforming a venue, with over 25 years of experience in designing and providing event flower arrangements you can be assured Arabesque Florist can provide you with a unique environment. Should you need to send flowers to a distant event or perhaps even abroad, Arabesque can help with that too. Through Direct2Florist we are able to send flowers, gifts and floral arrangements Worldwide. You can order online at our secure checkout. You can also call us on T: 0800 317 407 or Email. Our friendly staff will be happy to answer any questions you may have.